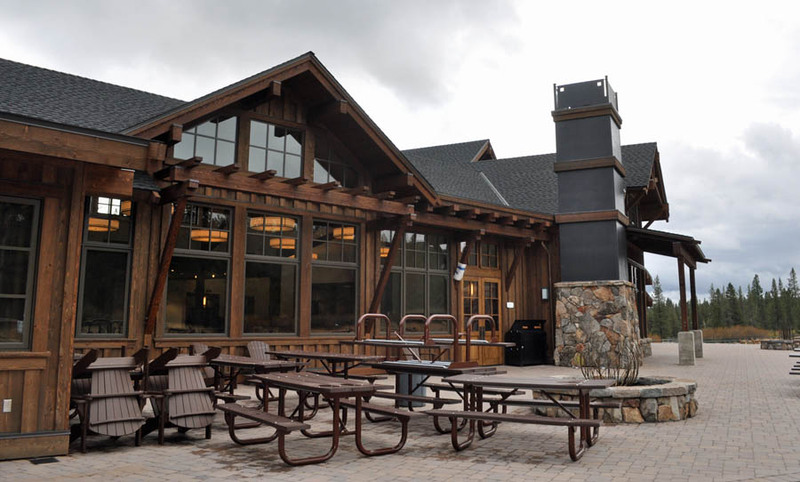 The all new Alder Creek Adventure Center will hold its grand opening on November 27, 2015. The new building represents years in the making with nearly $6 million in capital improvements. The public is invited to see the new building and enjoy live music and appetizers from 5-7 pm. There will be activities for the entire family and a raffle for Tahoe Donner prizes. The adventure center features a new retail ski store, upgraded lockers, more ski tuning services, and a new rental area. The center is also designed with areas for large parties, weddings, and corporate meetings year round. The Alder Creek Cafe offers spacious seating with large windows, a fireplace, and full bar with televisions. In the Summer, the building will house Tahoe Donner's Equestrian Center and Bikeworks operations. Visitors will have access to the extensive trail system of Tahoe Donner and the Euer Valley. The Alder Creek Adventure Center is located at 15275 Alder Creek Road in Tahoe Donner. Phone 530-587-9484 for more information.